Ukrainian president, Petro Poroshenko, has made the decision to dismiss the country’s parliament, the Verkhovna Rada, a message on his official Twitter account says. The decision comes because “the majority of the MPs voted for dictator-style laws,” which cost the lives of Maidan activists, RIA Novosti news agency reports citing Poroshenko's spokesman. Dear compatriots, Today I have taken a decision to early dissolve the Parliament. The election of the new parliament will be held on October 26, the spokesman Svyatoslav Tsegolko wrote on his Facebook page. 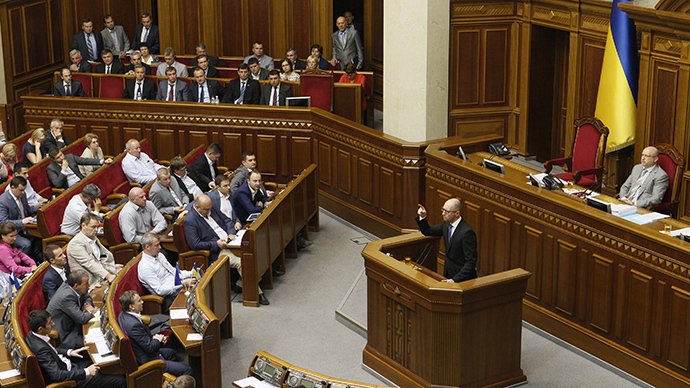 “The Fifth Column in the parliament consists of dozens of so-called people’s deputies. But they don’t represent the interests of the people, who elected them, but the interests of some other people,” the statement said. Neither Poroshenko's nor the Verkhovna Rada's official websites contain any messages giving details. However, the official Twitter account of the President's Administration also states the one-chamber parliament is dismissed. 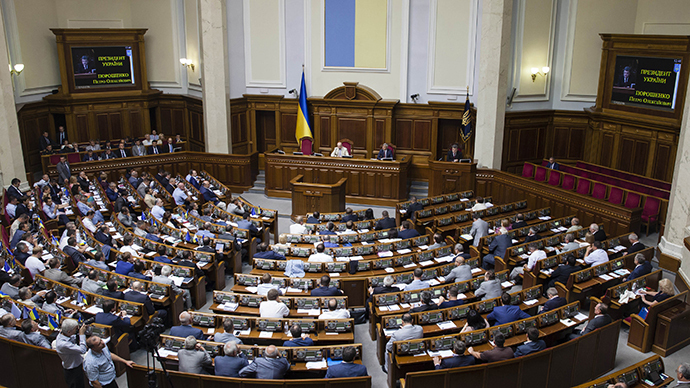 Poroshenko, who came to power in Ukraine on June 7, declared his intention to hold early parliamentary elections in his inauguration speech before the Rada. In late July, following the resignation of the government, Ukraine’s ruling coalition of nationalist Svoboda (Freedom) party and the Udar (Strike) party dissolved itself enhancing the prospects for an early vote. 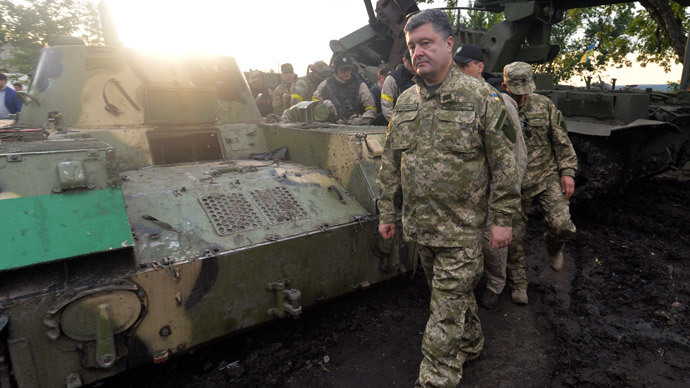 On August 2, Poroshenko again spoke of a snap parliamentary election after the Rada refused to recognize the self-proclaimed Lugansk and Donetsk People’s Republics as terrorist groups. Back then he also labeled the deputies as a “Fifth Column,” saying that he doesn’t know how to work with such a parliament. The term “Fifth Column” originates from the Spanish Civil War of 1936-39 where Franco’s fascists literally sent a “fifth column” of spies and provocateurs to try to capture capital Madrid from inside the city.